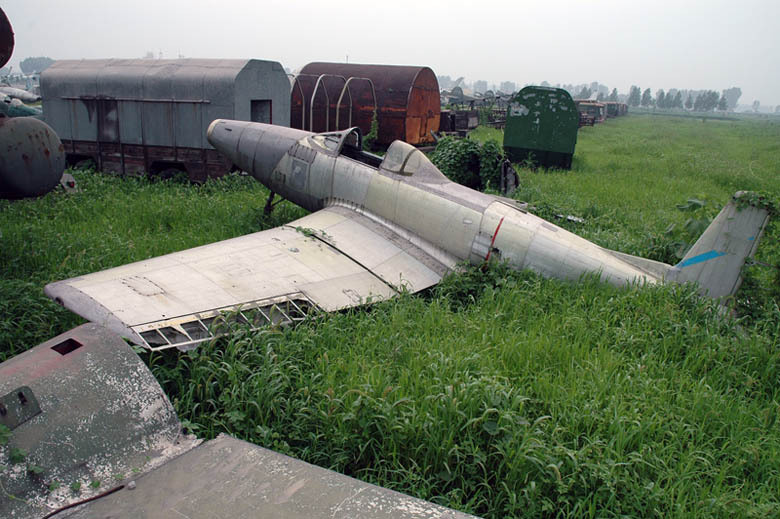 Remko van de Bunt wrote in July 2006 (translated)- I have added the photos to my website; few changes, except for some planes being moved (again). Also some buildings have been added. 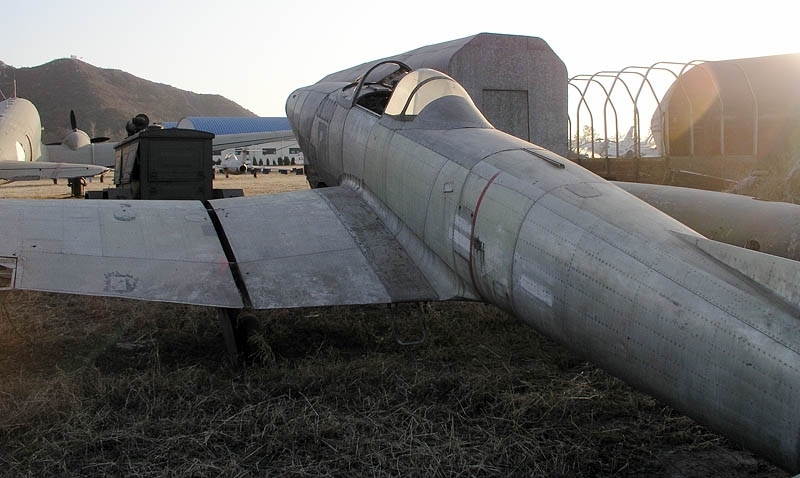 A new addition may be the Italian Starfighter (code 4-1), which has been placed up front inside the mountain. 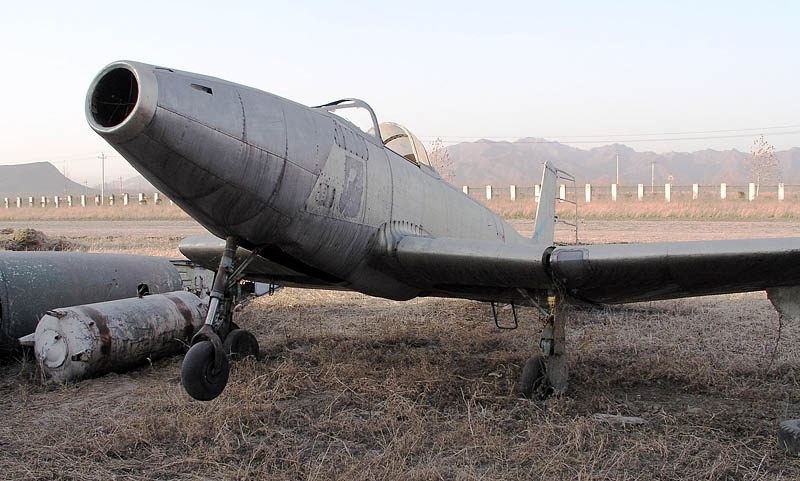 In August I received an email from Sergei Butcher, who was wondering what strange plane at Datangshan this was! "This is a non-flying breadboard model F-84, made from CJ-6! 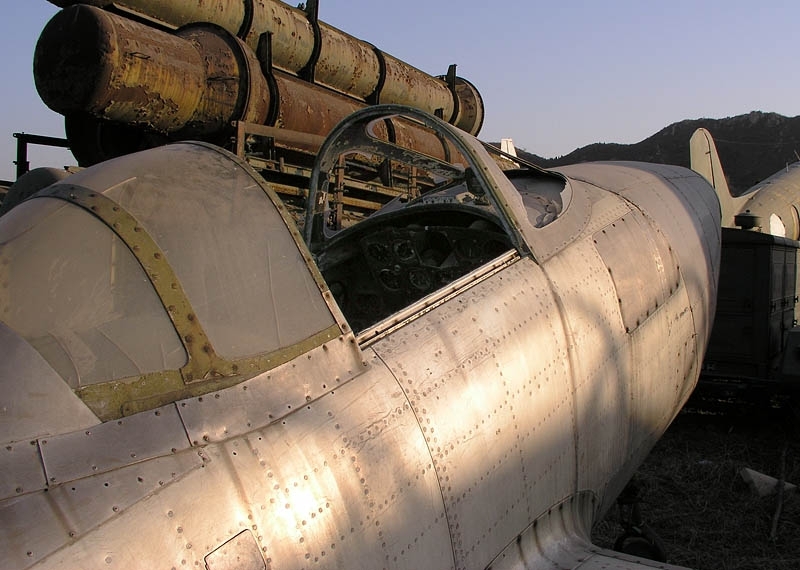 What exactly visibly altered is: a nose and + top of the fuselage behind the cockpit (which has been changed from 2-seat to single). It is also visible that the back part of a lantern of a cabin too consists of details from CJ-6 and from again made details. And pay attention to the form of the nose, which is almost a cone, that is geometry-wise simple, any double curvature, as on present F-84. 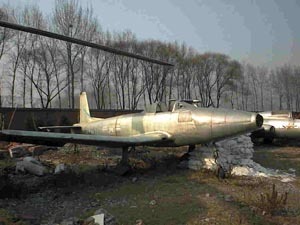 Also the new nose is put to an old fuselage on an inclined line and is a typical decision of Design office Yakovlev. And it not an aviation design, there is not enough rivet of seams. By the real machine of frames and stringers should be more." I am assured, that nobody will object. You can refer to me and use these materials and a photo. "Well, I managed to solve one mystery - the true identity of the CH-47 Chinook in the tunnel. 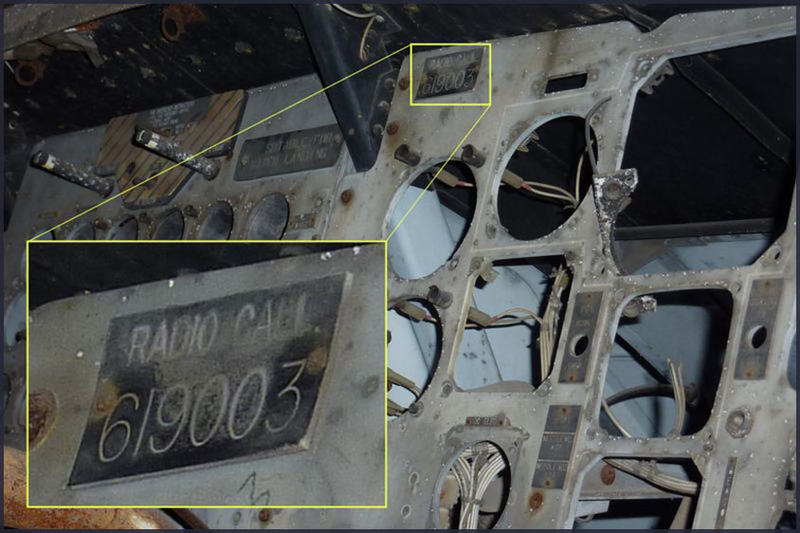 The ID of this aircraft had been 'troubling me' since my previous visit; so this time I stepped over the rope to take a quick picture inside the cockpit - hoping to catch the Radio Call data plate! 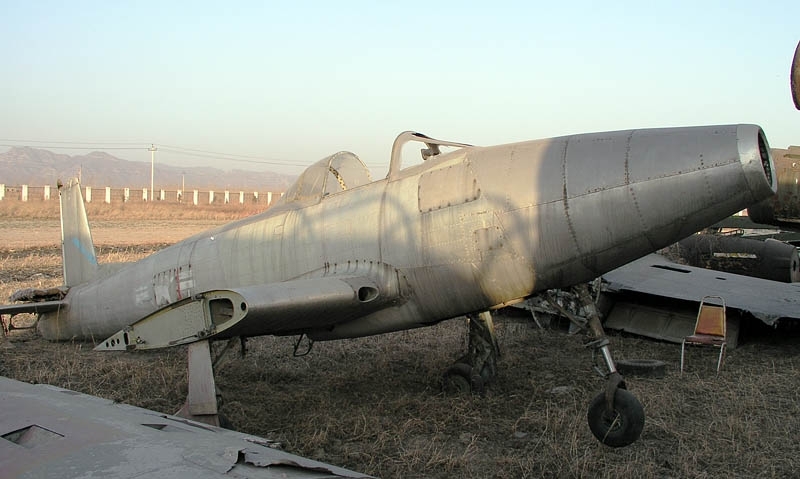 The general internet opinion of the identity is 66-19004 (probably because there is a faded code on the nose of 'KQ.004'), but the attached picture clearly shows the true identity to be 66-19003), which is c/n B-261." The visit when this photo was taken dates from Nov.2015.